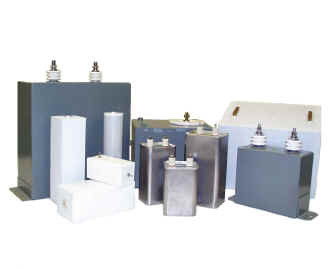 HV Capacitor Step by Step Plans...................only $9.95 # HVC1. Learn how to build powerful high voltage capacitors! 100 to 50,000 volts dc is possible. These plans are packed with more information than you will use in a life time! A must for any high voltage experimenter or researcher. Includes many different designs and safety info. Great for free energy research as well as high voltage anti-gravity models. Making your own high voltage capacitor is not as hard as it may look and you will save hundreds of dollars by building them yourself. The containers can be metal, plastic or aluminum. The white ceramic bolt fittings can be purchased at smallparts.com. Many of the parts and supplies can be found at most hardware stores. Another use for HV Capacitors is using them as high voltage multipliers. You can even use them to make your own high power permanent magnets by placing the magnet material inside of a copper coil of wire and sending bursts or pulses of DC energy from the HV capacitor to the coil. If you tried to buy a 5,000 volt capacitor from a Internet supplier it would cost you well over $200. But you can make the same thing for just a fraction of that cost. This is free energy that many research groups already know about, building this type of capacitor is like building a permanent magnet, in that it, acts to have energy even after you discharge or release its energy. But the energy coming from it is electrical, up to 20,000 volts DC, but it is only in m-amps great science project. To purchase by mail, download or other! The time for alternative energy is NOW! All photo's as well as written copy can not be used without our written permission. ORDERING OPTIONS: We also accept orders and payments by postal air mail. We accept money orders, personnel checks, postal money orders or credit cards. If you are located outside the USA: We accept bank checks in US dollars or credit cards. MODEL # 2 Plans and videos! CD 1 GOLD PACKAGE DEAL! If you purchased plans from us before, you can deduct the amount you already paid. Call us or contact us using blue contact us button. Complete list of all the plans you will get!